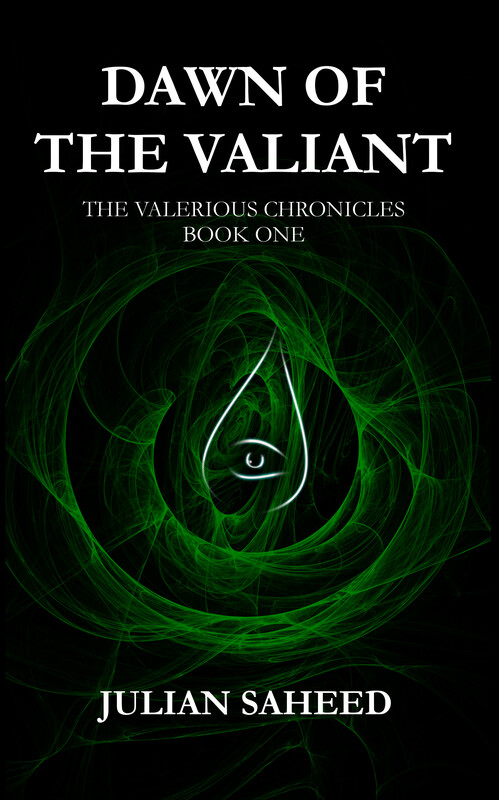 Today marks the release of the last book in my fantasy trilogy The Valerious Chronicles. The original idea for the story was sparked over fifteen years ago, whilst sitting on a bus through central Australia. Since then it evolved many times before finally being put together as a published trilogy of books. And in that time there have been many things I have learnt as a writer that changed my outlook on life. It has been a long journey, one that was difficult but fun. It was rewarding, daunting and trying. But I made it and now is the perfect time to look back and share my thoughts. Without fail the question I am asked the most is, how do you find the time to write these books? I work full time and write in the hours between my everyday life. 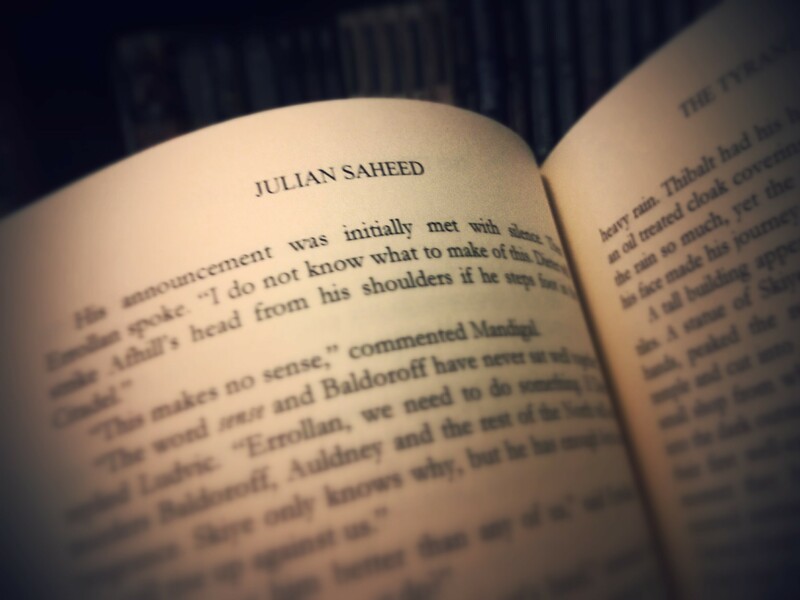 At times it can be difficult to fit the writing in, but I have found that as I got further into the trilogy I was able to make time whenever I could. And the only reason I was able to do that was the fact that I absolutely loved writing. Everybody has hobbies. We all have things we do when we get home and have a spare half hour. Whether it’s watching TV, reading books, baking, painting, playing games or sport, we make the time to fit these into our lives. Mainly because we enjoy them. Writing gives me the most enjoyment. It excites me. If it didn’t I would have never succeeded. I look back now and wish I had started with a single book. 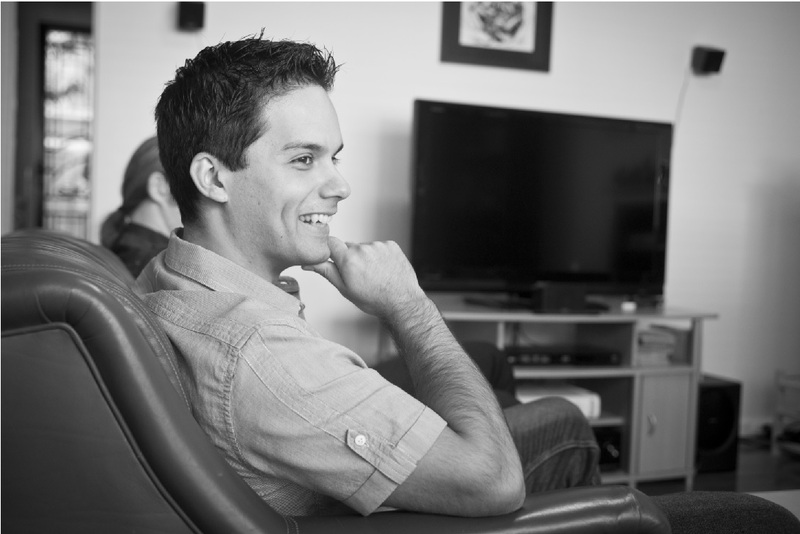 A trilogy was a tough project to begin with as a new artist. I have had the chance to speak with a lot of new writers and one thing I say to all of them is start small. Write a single book, or a novella to begin with. Write a blog, short stories, articles. Do anything to build your skill and learn the ropes first. I jumped straight into a fantasy trilogy and in a way bit off a larger mouthful than I was ready for. I believe this is reflected in my writing, which most readers will noticed progressed and improved over the three novels. I have had readers say to me that the third book actually feels like it is written by a different writer. I think that this is a natural occurrence for new writers/artists, as with each piece of work we build on our skill. In hindsight starting with a single novel would have let me iron out some of those early creases. It is hard for me to go back and read my own work without feeling I could have done better. I do not think I will ever be 100% happy with something I produce. That is not to say that I am not pleased with my books. And no matter how many great reviews and positive feedback I receive I will always doubt my own work. The key, I believe, is allowing myself to be comfortable with the fact that I will never ever be fully happy. I will always feel that I could have done better. In a way, if I didn’t feel that way I wouldn’t be improving as a writer. Let’s be honest, to become a household name is every writer’s dream. If you go out with the mentality that the first book you write is going to fill the shelves of every bookshelf from Sydney to Washington, then you are likely setting yourself up for failure. However, success can be defined in many ways. When I self published my first novel I did so with the goal of having a single random person in the world buy and read my book. I measured this by awaiting an online book review from someone who I had absolutely no connection with. The day I received my first review from a complete stranger, I felt an enormous sense of relief. I had achieved what I had set out to accomplish. And the fact that it was a highly praising review made continuing my writing all the easier. I knew that by finishing the trilogy there was at least one person out there in the world who wanted to know how the story ended. That allowed me to set achievable goals for each book. I never believed that I would become a New York times best seller with these books. But I was able to celebrate my success by having realistic goals. My long term goal may be to hit the bestseller list, but I will be doing it one small step at a time. I approached multiple publishers with Dawn of the Valiant before opting to self-publish. I have no regrets that I didn’t try harder to get traditionally published. I personally believe that I wasn’t ready to be published by a traditional publisher. I still consider myself a writer who is learning the ropes and hope that one day I will write a novel which a publisher will like and be willing to support. However, I am under no illusion as to how difficult it is to find success in traditional publishing in today’s market. It is a combination of talent, the right idea, right contacts and luck. It can be depressing not hearing back from a publisher. You spend thousands of hours working on a novel, pouring your emotions into it and then do not even get a reply to say, thanks for sending us your synopsis. It would be enough to cause many artists to give up. But in the end it is all about what you have set out to accomplish. The answer will be different for everyone. Writing these books has changed me as a person. I have a different outlook on life, a different opinion of myself and those who helped me along the way. I will always question the path I took, but I will be thankful for the lessons I learnt along the way. For now I will take a deep breath and celebrate. And I know it won’t be long until I set my next goal. 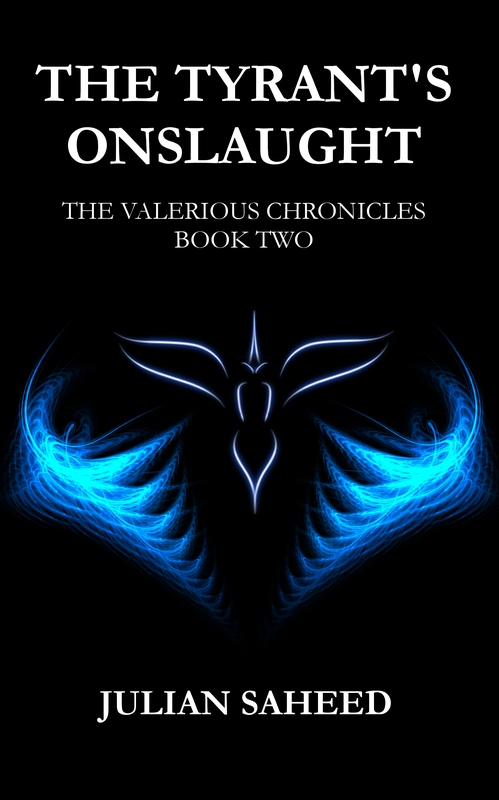 I am excited to announce that The Tyrant’s Onslaught, Book Two in the Valerious Chronicles is available for pre-order prior to its release on the 31st of August. Imprisoned. Christill now faces the wrath of his King and Council. They will demand his blood, but his destiny is yet to be fulfilled. He must uncover the terrible source of the Tyrant King’s power if the world is to be saved. The guardian gods have given him strength, however, he will be forced to travel to the most dangerous part of Kovi, hunted by those he is fighting to save. Thibalt always believed in his Scorpions, but it is a dark path the Maloreichar have set them on. He will question his actions at every turn. The war will paint his hands red. As their enemies close in around them, he will be forced to make the hardest choice of his life. Throughout their journey they will face familiar enemies, treachery and above all the malevolence of Zephra. The truth will be revealed and sacrifices made, for the Tyrant King’s onslaught is unwavering. Hope is all that remains. Hope and two brothers. And for those who are very eager to secure a copy the paperback version is already available for sale early on Amazon and my own store. Writers can never get enough tips and advice from their peers. In an effort to give back from my own experiences here is a list of 20 things I’ve learnt. 1) If you don’t enjoy writing, stop and look for a new job/hobby. 2) You will always look back and think that you can improve what you’ve already written. 3) When selling books to strangers, Book covers are more important than your blurb and often more important than your story. 4) Anyone who says ‘write everyday’ obviously hasn’t got a full time job and a family. 5) That being said, write when you can, as often as you can. Even if it is only 200 words. 6) Your back, neck, hands and arms will suffer. Maintain posture and take breaks! 7) Don’t write what you think will sell, write what you WANT to write. Otherwise it will be rubbish. 8) You are way more excited about your writing than your friends and family. Remember not to talk about it all the time. 9) If someone is helping you with reading/editing make sure you really show them how much you appreciate it. 10) There is nothing wrong with tropes and clichés as long as what you write is entertaining. 11) Finishing a story is hard. Every time you do, pop a bottle of champagne to celebrate. 12) Some people plan, some people write as it comes to them. Neither approach is wrong or right. 13) Grammar is incredibly important. Don’t trust your spellchecker. 14) Writing can be isolating. Make sure you step outside into the real world just as much as you step into your imagination. 15) Reading for enjoyment is one of the most important tasks for someone who intends to write what others will enjoy. 16) Set yourself small goals. My first goal was to get 1 single person I didn’t know to read my work. So far I’m doing alright! 17) Even with a lot of hard work, it’s tough to make a living out of writing. But never give up. 18) It is very easy for us to become overly critical. Be careful in how you judge the writing of others. 19) Google really is your friend. 20) Stop to smell the roses every once and a while. Then get back to the keyboard, you’ve got writing to do! Remember the most important piece of advice, don’t take someone else’s opinions, tips or advice as gospel. Different things work for different people and different people have different tastes. Find your own happy spot and just don’t forget to never stop learning. 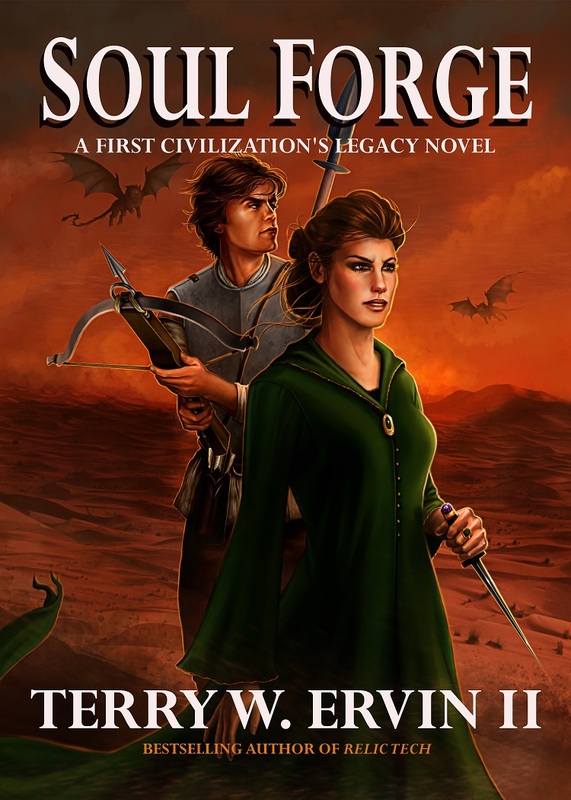 In anticipation of the release of book two of the Valerious Chronicles, Dawn of the Valiant is now FREE on iTunes, Barnes and Noble, Kobo and Smashwords. I have also been working on updated covers for the eBooks to provide a more thematic pattern throughout the trilogy. The updated cover for Dawn of the Valiant is now live. Enjoy! It is commonly said that writing is a lonely task. We spend most of our time sitting behind the keyboard, fuelled by coffee and tea, grinding away at the metaphorical page. And all of this by our lonesome selves. So what about once you have finished your book and it’s ready to go? God, this must be the best time, the time you get to present your spectacular piece of art to the outside world. It’s time for the world to bask in your magnificence – because your book is the best thing that’s ever been written – don’t deny it, you know it’s true. But hold on, now you need to get it published. Editing, agents, publishers, manuscripts, more editing, rejections, no replies, more editing and then you realise nobody wants your book. You have two choices. 1) Throw it in the chest and start the next book or 2) Self publish. I read a lot of articles on how to self-publish successfully. I don’t often read about what the reality is for the 99th percentile. I chose to self-publish, because, hey, I worked my behind off writing this book, and I at least want to let people read it. Once I made the decision to self-publish a whole lot of truths became apparent. Let me share some of them with you. Truth 1: You are starting a business. As easy as it is to publish your own work in today’s world, you are setting up a business. And if you have never set up a business, it takes a lot of work. It also takes a lot of research and a lot of reading up on things that you have likely never thought about. Setting yourself up as a sole trader, tax, forms, phone calls, formatting your manuscript into a published novel or ebook, creating or commissioning a cover… the list goes on. Yet, again, this is where you realise how alone you are. Sure you may spend a lot of time as I do reading other writers blogs and participating in online writing communities. They do help to make you feel less alone, but only so much. Because at the end of the day you still need to do the work, no one is going to publish your book for you – self-publish remember! Setting up everything to allow yourself to publish takes a long, long time. Especially if you have a day job that isn’t writing. But don’t despair, it is all worth it and thankfully most of these tedious parts are one offs. Truth 2: You have published your book. Nobody Cares! No really, nobody cares. Ok that’s not entirely true. Most of your friends and family – assuming they aren’t all overachieving, highly successful millionaires – will be very impressed and provide you with kind words of encouragement. They may even buy your book! However the rest of the world doesn’t care. Why is that? Because there are so many books out there to buy. Readers are swamped by an endless sea of tweets, facebook posts and ads that are showing them what to read. It’s oversaturation, and when faced with too many options, people go to what they know is good, what is already successful and what others are recommending. It is the only way of sorting through the, for lack of a better term, slush pile. Truth 3: Publishing just isn’t enough. They say that a self-published book on average sells 100 copies in its lifetime. Unless you market your book, you are not going to get sales. It sounds simple but it is true. And sadly the easiest methods are not often the best. You can post on twitter with constant links to your book under every hashtag that you can think of. You can spam your facebook friends until the cows come home. You can post on forums letting people know that your book is out. A lot of people will click on the link and have a look at your book. But how many will actually buy it. Sadly it is a very low number. We can hardly blame people. You have to ask yourself, how many books have you bought after clicking on a link that a random person sent you? I can tell you that for me it is a total of 0. I have enough famous authors to read and it is a sobering fact that this is the case for the rest of the world. The percentage of people who will take a gamble on an unknown author is small. So the task is to try and build a name for yourself. Join the discussion on forums and blogs. Don’t post about your book, just post about topics being discussed. Post something interesting and if you have your website in your signature, maybe they’ll have a look on their own accord. Truth 4: Don’t publish too early. 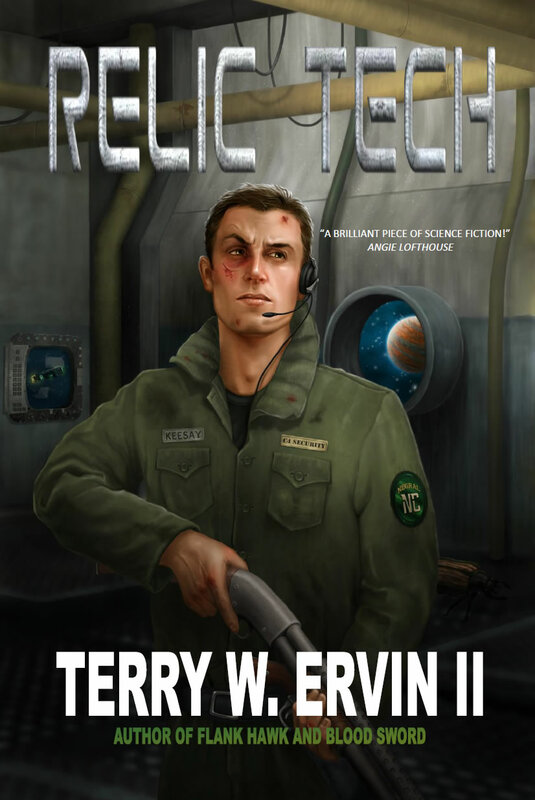 I will admit for the first time here that I published my first novel, Dawn of the Valiant, far too early. I released it into the market eagerly and had not done enough editing. I thought I had, my eyes and fingers were telling me I had, but the truth was there were errors in my novel. A lot of them were simply grammatical mistakes, ones easily missed by a reader. Others were blaringly obvious and somehow overlooked by both my editor, beta readers and me. These can hurt your reputation. And often you only get one shot. Thankfully the beauty of self-publishing is that continuous improvement is but a new upload away. I have now had a professional editor go over the book and, doing some extra editing of my own, sorted out 99% of the issues. Regardless, that should have been something I had sorted before my prospective readers picked up my work. You don’t want to be known as that guy who published a book, but left in all the typos. I look back at it as an important lesson. Truth 5: Yes there are success stories. But they are the exception. How often do you hear about 50 Shades of Grey or Wool or any other author who has successfully self-published? Hey don’t get me wrong, good on them, I myself hope to someday be mentioned beside them. The truth is you will probably publish a lot of unsuccessful books first, even if you are lucky enough to hit the big time. There is some hope here though. Brandon Sanderson wrote 13 books before getting published. C.S Lewis received over 800 rejections. The trick of course is to keep writing. Eventually you’ll get it right. And if you don’t at least you can pass on a whole heap of books to your children. So there a few of my learnings, there are plenty more. Yet, despite all of these revelations I loved self-publishing. I will continue to do so until I manage to trick a traditional publisher into signing me. And if that day never comes, I will remain thankful that in this day and age it is possible and affordable for me to get my books out into the market by myself. One of my short stories that was originally written for a competition has now been published. If you are looking for a quick suspenseful hit of dark fantasy check it out and download the story completely FREE here. In mere moments they will arrive. His neck is strapped to the altar. His hands and feet chained. The villagers can only watch on in fear as the devils draw closer. Even if he wanted to scream for help, he couldn’t. But his haunted fate has led him to this moment. He just doesn’t know it. These savage creatures have reduced the village to a blackened, broken shell. 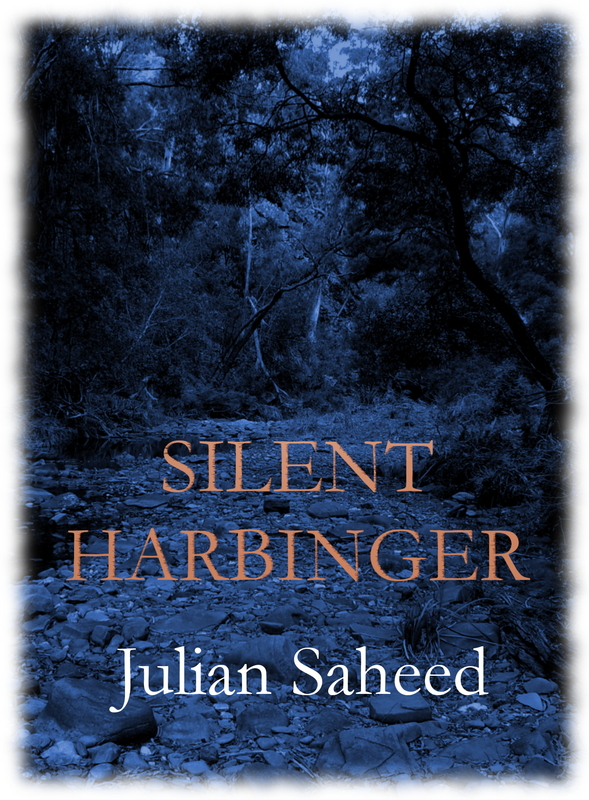 But a catalyst is coming.The Silent Harbinger will reveal all to the people of Avelline. Happy Reading!! And spread the word. I have been absent from my blog for a little while now. Rest assured it is only a good thing for all of those awaiting the remainder of the Valerious Chronicles. Editing on Book 2 is still underway but nearing the end. I can see a light at the end of a long tunnel. I think it’s a train! Whilst my editor running out of red pens, I have begun writing the final book. 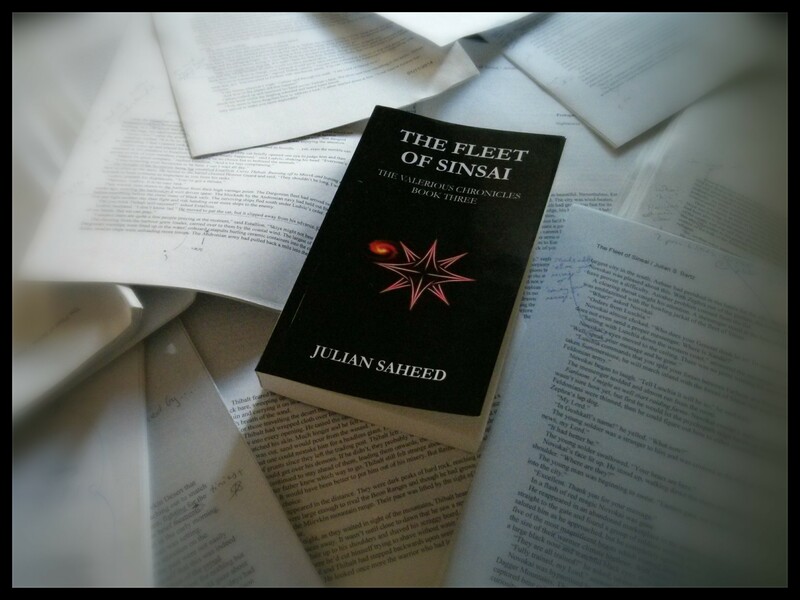 I am well on track to have The Tyrant’s Onslaught published mid-year and The Fleet of Sinsai in early 2015. In the hours between my day job and my real job (writing), I have managed to find the time to read some fantastic books. If I get a chance I will write up a few more reviews. Until then I will keep you updated. Remember that you can always check the status of the next books in the Valerious Chronicles on my website. I update it on a weekly basis.